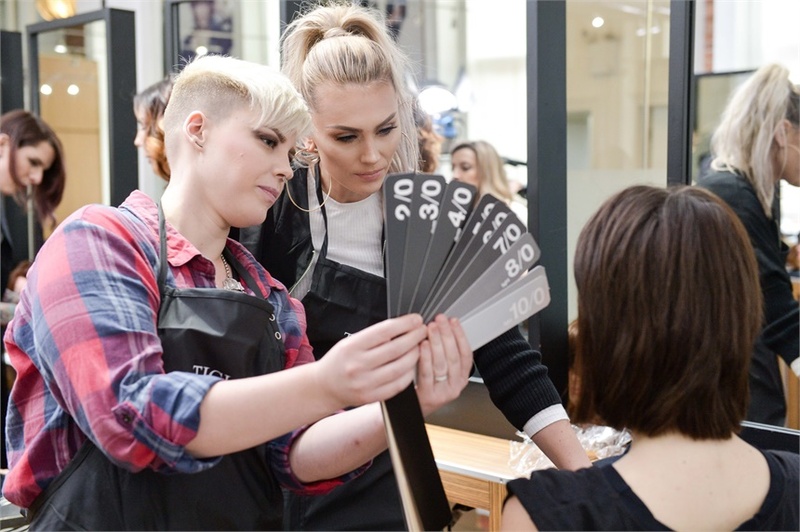 Create ultimate colour results and master freehand colouring during this practical, hands-on technique focused training session. 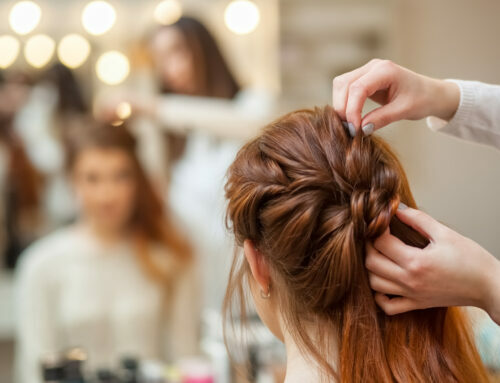 It will include ombré, balayage colour blocking, colour contouring, merging, highlight placement and root stretching demonstrations and methods. 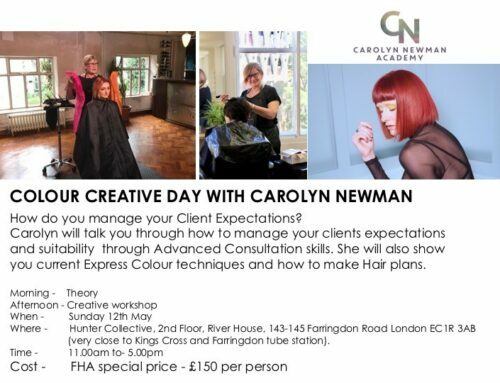 You’ll also learn how to revive colour services with trend led colour application. All colour, styling products and heads are provided plus you’ll receive your very own goody bag! We started the day with the usual introductions and John Paul, TiGi Educator asked each of us what we would like to cover to get the most from the day. We gave him a long wish list and he covered all of the techniques for us. During the workshop John Paul showed us a couple of sectioning and highlighting techniques and for our practical session we sectioned our dolly head into 4 and did a different technique in each section. We had the opportunity to use the TiGi bleach and colour ranges and we tried different colours/formulas to get a good ‘feel’ for the products. John Paul answered all of our questions and was very thorough in his explanations. The complete TiGi portfoliio is very compact. It is designed so that you don’t need to carry lots of products yet still have enough for ‘every’ job we may encounter. We found them to ba very user friendly, a good range of colours and even left Miss Dolly Head’s hair nice and shiny, so they’re conditioning too. We were given a decent quality dolly head and a goody bag with some really useful tools to help us achieve the techniques practised. All in all it was a great day, everyone enjoyed it and I would highly recommend it.